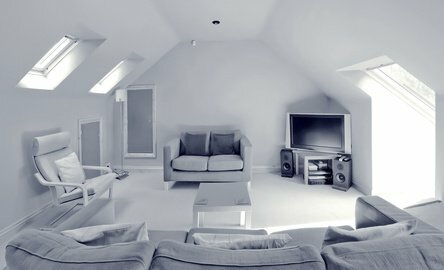 Welcome to our loft conversion guide which will allow you to judge whether your roof space, currently a holiday home for spiders, dust and the water tank – could be converted into that extra room you have always dreamed about. This is a long page but stick with us as it gives good background on everything you need to know about a new conversion. And, the good news, is that most lofts in the UK will be suitable for conversion though, naturally, some will be easier to work with than others. Some people are put off getting a loft conversion because they believe their property just isn't suitable. But, as we mentioned above, most properties in the UK will be able to have their loft converted and with a host of new techniques available a specialist builder should be able to find a solution for most problems. By the way it should be stressed at this point that no matter what style of property you have you will need to have building regulations approval for your project. But, for the homeowner, the first step is to get up into the roof space, remembering to take a tape measure with you, and find out how much headroom you have. Measuring vertically from a joist to the ridge in the centre of the loft you will ideally need 8 feet of space though seven feet can be OK. However, if there is less room then this don't worry. It will probably still be possible to convert the attic and there is no legislation that demands a minimum height for a loft conversion. Next, you need to determine how your roof was built. This is crucial. If your property was built before 1965 your roof will almost certainly have been built using purlins and rafters. If your home was built after 1965 then it is likely that it was built in the truss rafter style - don’t worry if you’re not sure what purlins, rafters and trusses are. The illustrations below should make things clear. Have you got this kind of roof space? If so – you’ve cracked it. Your loft is absolutely ideal for conversion into basically any design you like. This type of roof is exactly right for a loft conversion as it has a steep pitch and lots of clear space between the timber framework. As a very general rule of thumb the older the house the more roof space you are likely to have as in the past the tendency was to build houses with a much steeper pitched roof than is normal today. Have you got this kind of roof space with the timber trusses in a ‘W’ shape ? If so – then there is some work to do. This type of loft is more difficult to convert and you will be wise to consult a structural engineer early in your planning process. The problem with this kind of roof is that the very much lower pitch makes a conversion difficult – difficult but not impossible. And, if your house is very new, built after 2000, then your roof may have more steel than timber trusses which makes a conversion much easier. One consequence of a trussed roof is that, to make a loft conversion possible, the roof-line of the house will almost certainly need to be raised. Construction prices vary from region to region within the UK and, of course, no two conversions are likely to be the same. But, for a full scale, and well built loft conversion, the cost is usually somewhere between £18-£50,000. By this stage you will no doubt have decided on your design concept and will be ready for the nitty gritty – getting your plans professionally drawn up and contracting a builder. Choosing the right builder is of course very important. 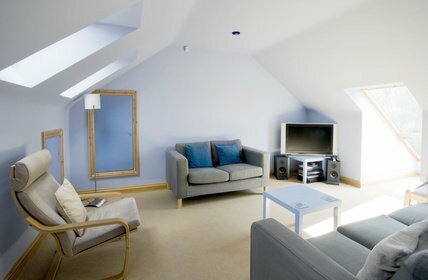 There are lots of companies out there who specialise in loft conversions and who provide a great service. And, despite the horror stories on TV and in the newspapers, the vast majority of builders are honest and hardworking. Although the media may make you think otherwise there really are more cowboys in Texas than in the Yellow Pages. Nevertheless, there are certain things to consider when choosing a builder but the best piece of advice is to keep your ears open. In the building trade word of mouth is by the best and most reliable advertising. If any of the neighbours have had loft conversions built ask them if they would recommend their builder but don’t just ask one person – ask as many as you can. With your loft design and builder chosen it is time to consider the red tape. Many building companies will handle all the paperwork for you but remember the ultimate responsibility is yours. Well - we have to face it sooner or later. That lovely new conversion needs to be paid for. Click on the link for advice on raising finance. With loft conversions as the homeowner you must ensure the correct planning permission and building regulations approval is obtained. By far the best advice here is to make a full plans building regulations application. The local council will then act as a safeguard during the construction of your new room. And, if you live in a terrace or semi-detached property you must also consider the Party Wall Act. Once all the correct approval has been granted and the actual building work is underway – don’t relax! Even if your builder is doing everything this is still your project. Make sure you keep on top of everything, especially the budget, and ensure that the work is being carried out correctly. If in doubt about the standard of work contact your building control officer. Remember. A poor builder can always walk away – you have to live there. Don’t be afraid of being considered a nuisance during the build. You are the project manager. 1) Play it by the book. Don’t be tempted to ignore the building regulations or planning permission. 2) Make the councils building control officer your new best friend. He is there to help. Don’t see him just as someone who is there to interfere. 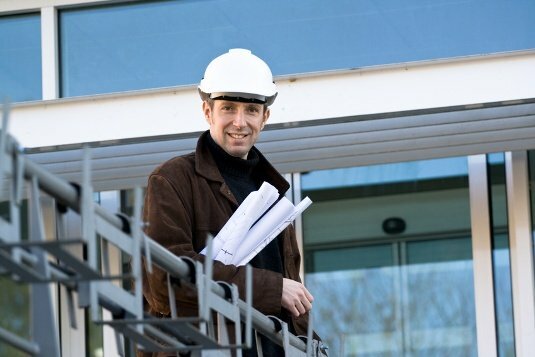 His job is to ensure your project is completed safely and to specification and he will always be happy to offer guidance and advice. 3) Unless you live in a detached property don’t forget about the Party Wall Act. 4) Its all in the planning. Don’t rush and consider everything. Preparing well will ensure your project goes smoothly. 5) Listen to the experts. You may need to compromise your ideas. You may think a thirty foot turret on the roof of your house is perfectly feasible but if your architect suggests a nice dormer instead – he is probably right. 6) Consider your neighbours and ensure that any disruption they suffer because of your building work is kept to the absolute minimum. 7) Choose your loft conversion company carefully and remember that the cheapest quote isn’t always the best. 8) Make sure the design you choose is really the one you want – there are no second chances here. 9) Project manage the build every step of the way. Its your money. Make sure it isn’t wasted. 10) Settle in for the long haul. A loft conversion is a big project and it will take time to complete.